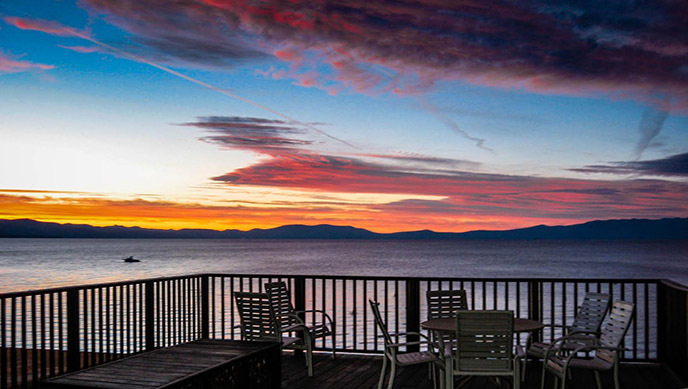 The Beachcomber Inn amenities and common areas include an indoor Recreation Center, lake view Observation Deck great for BBQ’s, a pool and spa with stunning views of Tahoe and a private dock and member & public buoys rentals for boating enthusiasts. Call the Resort to inquire about our Buoy Rental Prices. 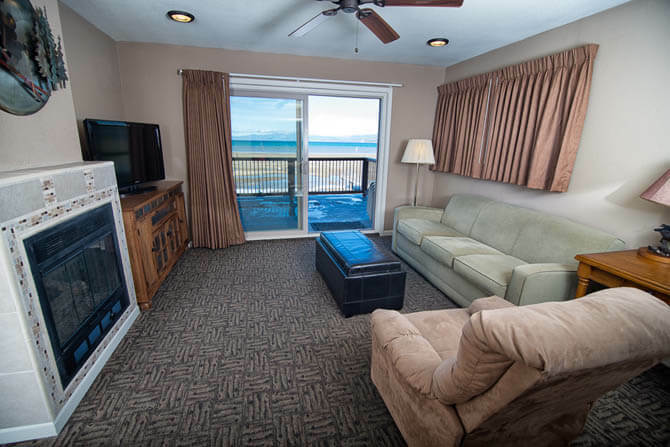 Our Recreation Room has games, a pool table, Foozeball, Television, Magazines, a Full Kitchen, and of course a lake view. It is here where you’ll experience 180 degree views of the lake and mountains. The common BBQ’s are located here. Enjoy your favorite beverage and watch the sunset. Enjoy our seasonal pool and outdoor spa overlooking Lake Tahoe. Guests enjoy access to Beachcomber’s private dock and bouys.